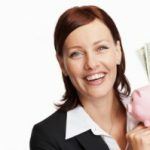 Now that we have a rough life expectancy to work with, lets head on over to the Retirement Planner from Dinkytown.net. This is a cool little tool that lets you specify a variety of parameters, including current age, existing retirement assets, income, expected rate of income increase, retirement savings rate (go ahead and include your company match), expected investment performance (both before and after retirement), expected inflation rate, and the percent of your income that you wish to receive in retirement. They even let you include/exclude Social Security when running these calculations. When I plugged in my particulars (age, income, existing assets, and percent savings), but otherwise left the default values in place, I found out that I won’t run out of money until age 100. And that was without Social Security. Adding in Social Security sends my retirement savings off the chart (there’s a minor inflection at retirement, but otherwise it just keeps on growing). But who wants to work until full retirement age? Not me. So what happens if I reduce the retirement age by just three years? Wow. It has a huge effect. 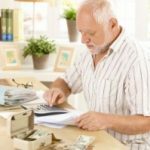 If I retire at age 62, I’ll run out of money at age 85 (that number increases to 97 with Social Security). Time to get cracking on those retirement contributions! Obviously, these sorts of calculations are only as good as the assumptions upon which they’re based. In other words, you shouldn’t take anything like this as gospel — but it can be an informative exercise. So… What’s your life expectancy? 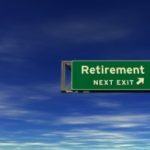 And… Will your retirement savings plan be sufficient? The dinkytown calculators are cool, but for long range planning you really need to use a planner that takes portfolio volatility into account rather than assuming a steady return each year. These more sophisticated calculators use either historical market data or Monte Carlo simulation to take volatility into account. They are both free and run inside your web browser. Try these with the same inputs you used on the dinkytown calculator and notice the difference. For anyone under the age of 30… go ahead and do the calculations without Social Security. Actually, I don’t intend to retire. I figure, if I don’t like the work I do enough to want to keep doing it regardless of how old or wealthy I am, then that’s a sign I’m already doing something wrong. Doesn’t mean I’m not investing for the future, though. The problem with these calculators is that so many factors depend on what happens in 2018 when it stops being possible to deny that Social Security is bankrupt. Does the government raise taxes, and thus drastically cut the income available to be diverted into savings? Do they try to monetize the debt, and the inflation rate goes from a sane number in the single digits to something like 75% as the dollar collapses? Just how much of the economy will be destroyed? Will Medicare be funded (making healthcare investments very safe ones) or killed (making them among the worst possible places to have money)? Honestly, with all the uncertainty involved in planning that far out even if our massive scheme of intergenerational robbery _weren’t_ about to collapse, the notion of “retirement planning” any more specific than “save as much as you can, as diversely as you can, at as good a rate of return as you can get, and pray the politicians don’t steal it all” seems like folly. WOW. Very interesting. Quite an eye opener. As you can see with my life expectancy and with what will probably be retirement age by the time I get to retirement…I will have already died or will only a few years to live…if everything is correct.